Anti-Jam Solutions - Nu-Trek Inc.
Block diagram of X-Jam-02 RF IC. Layout of anti-jam antenna electronics based on the X-Jam-02. Nu-Trek specializes in anti-jam solutions. Nu-Trek's X-Jam RF front end integrated circuits (IC) have "record" dynamic range and are used in controlled reception pattern antenna (CRPA) based anti-jam solutions. This includes front ends for GPS and GNSS receivers as well as antenna electronics. 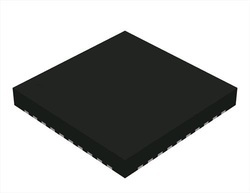 The X-Jam RF ICs enable low size, weight, power, and cost (SWP/C) anti-jam solutions and we are currently working on anti-jam antenna electronics for class one Micro UASs. The X-Jam RF ICs are low SwaP/C GPS/GNSS receiver front-end RF ICs supporting C/A, P(Y) and M-codes that were enable GPS/GNSS receivers to operate in very highly jammed environments. ICs offered include narrow band and broadband L-band reception covering all GPS, GNSS and signals of opportunity (Iridium, Inmarsat, Link16, OmniSTAR, etc). The X-Jam RF ICs have moderate to ultra-high linearity, have low noise figure (4 dB typical at max gain). X-Jam-01 is a narrowband, 2-channel front-end tunable to GPS L1, L2 and L5. X-Jam/02 provides broadband (950 -1650 MHz) reception coupled with ultra high linearity in a 4- or 1-channel RF front-end package. NT/X-Jam/03 is a GPS L5 receiver for GPS add-on capability. This RFIC integrates the synthesizer, analog AGC loop and filtering. NT/X-Jam/04 is a wideband (960-2000 MHz) front-end with high linearity and a high level of integration. Nu-Trek is under contract to develop anti-jam antenna electronics for class 1 UASs, such as switchblade, enabling small platforms the anti-jam protection that is presently afforded only by large aircraft. It is based on 4 X-Jam-02 RF IC. Once the X-Jam-04 RF IC will become available, it will replace the X-Jam-02 RF IC for additional SWaP/C savings. A similar design can be used as an anti-jam front end for an M-code receiver. 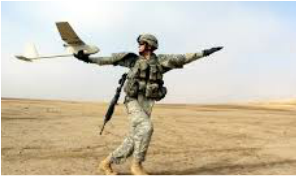 The Micro PNT will enable Class 1 unmanned aerial systems (UAS) such as the Switchblade to operate in highly jammed environment, a capability that is presently only available to large platforms. 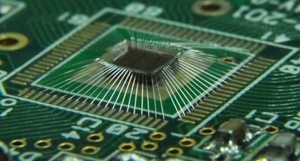 "Micro PNT", Jam Resistant Antenna Electronics for Small Platforms. Controlled reception pattern antenna (CRPA) based anti-jam solutions are very effective at nulling multiple, high powered jammers and are used by military platforms and weapons required to operate in highly jammed environments. The CRPA based anti-jam solutions are large and expensive and can not be afforded by the smaller platforms. This is a critical operational issue as low cost, high power jammers are readily available and in widespread use. The "Micro PNT" is an anti-jam solution for very small platforms, such as class 1 Micro UAS. It will provide for the first time, a high jammer to signal (J/S) anti-jam capability that is compatible with the resources available to small platforms. It is based on Nu-Trek's high dynamic range X-Jam-02 RF IC and a powerful anti-jam filter developed by one of the leading suppliers of military GPS receivers. This program is funded by a Pacific Command (PACOM) Rapid Innovation Fund contract and is being managed out of Eglin Air Force Base. The X-Jam-04 will replace the X-Jam-02 in Nu-Trek's anti-jam solutions. It offers a higher level of integration with the same high dynamic range, enabling a SWaP/C reduction. "X-Jam-04", Next Generation Anti-Jam RF IC. Nu-Trek has been developing the X-Jam RF front end ICs to reduce the size, weight, power, and cost (SWaP/C) of anti-jam solutions and is presently developing an anti-jam antenna electronics for very small platforms, such as class 1 Micro UASs. It is based on Nu-Trek's X-Jam-02, a very high dynamic range RF front end IC. The X-Jam-04 will replace the X-Jam-02 in this and similar anti-jam solutions. It offers a higher level of integration with the same high dynamic range, enabling a substantial SWaP/C reduction while maintaining the same jammer to signal (J/S) performance. Helios has an ultra wide band, 1 GHz to 11.5 GHz PLL, a critical building block in ultra wide band RF front ends and other RF circuits. "Helios", an Ultra Wide Band (1 GHz to 11.5 GHz) PLL. Helios is a 1 GHz to 11.5 GHz phase locked Loop (PLL) IC that is being developed to support test equipment that operates in this frequency range. It is also very enabling as a "block" in RF front ends for signal of opportunity positioning, navigation, and timing (PNT) solutions under consideration for the augmentation of GPS receivers, when GPS signals are impaired or denied. The output impedance of the Helios PLL is 50 ohm and the output format is I and Q differential with an I/Q phase error of 1-3 degrees. The frequency tuning step is 60 MHz and the automatic gain control (AGC) is -22 to -12 dBm. The Helios RF IC will be board mounted as shown in the figure to the left. Testing of the Helios PLL is expected to start in the fall of 2015. The development of the Helios PLL is being funded by a Phase II Air Force SBIR managed by Wright Patterson AFB.